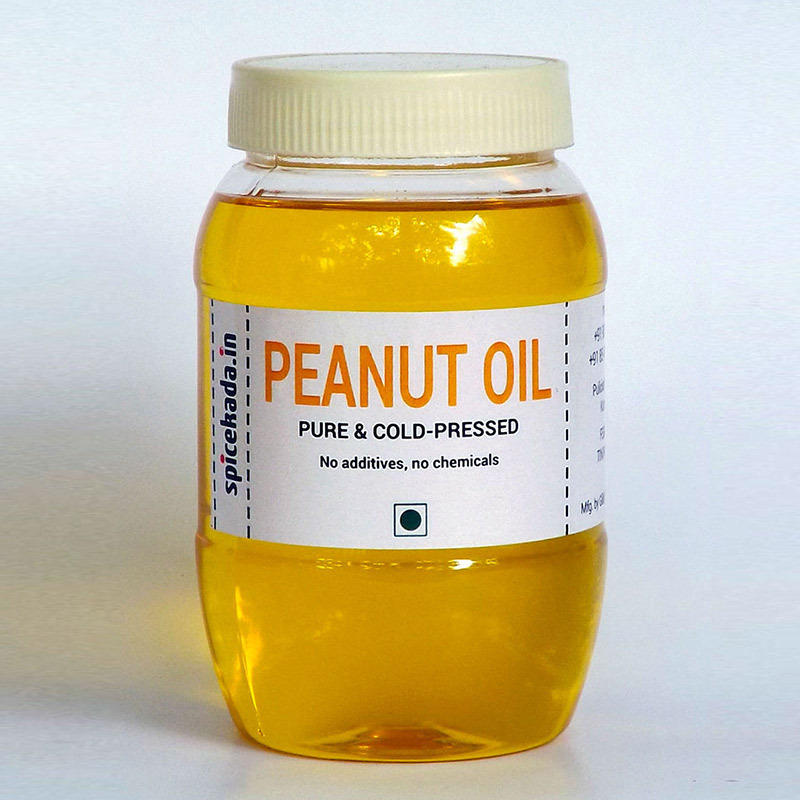 Our peanut/groundnut oil is cold pressed and unrefined, only filtered. Consequently, most of the naturally occurring nutrients are still in the oil when it reaches your kitchen. The oil is particularly good for cooking purposes, especially frying. Peanut oil should be used within 6 months of manufacturing. The oil can be stored at room temperature or in the refrigerator. Either way, it is essential that the lid is tight, and that the content is not contaminated; using unclean kitchen utensils and allowing, for instance, water into the jar, will reduce the shelf life of the oil.